LinkedIn offers a fantastic channel to showcase your talent. To provide more insight, we will be looking into how to make your profile more accessible to recruiters and headhunters. LinkedIn is basically a large database of profiles consisting of fields and searchable terms. The quality of data contained within each profile will dictate how often your record will come up on specific phrase and/or keyword searches. Therefore, by understanding this indexing method, you will give yourself a better chance of appearing in targeted searches. The most popular search strings that recruiters will use to identify industry-based profiles are the following: Title + Industry + Location. To break this down further and to provide a more refined and accurate search, LinkedIn will also offer the user (a recruiter or potential employer) extended levels of search including the following: - Only search profiles with “Position Title” in their current role. Only search profiles that are in currently or recently held “Industry.” Based on this information, we can see just how important it is to have keywords within your opening statement, your key skills settings, and within your current or recent job position. Otherwise, you could easily be missed. To break this down further and to provide a more refined and accurate search, LinkedIn will also offer the user (a recruiter or potential employer) extended levels of search including the following: - Only search profiles with “Position Title” in their current role. Only search profiles that are in currently or recently held “Industry.” Based on this information, we can see just how important it is to have keywords within your opening statement, your key skills settings, and within your current or recent job position. Otherwise, you could easily be missed. When it comes to the initial searching for profiles, recent tests show LinkedIn does not put as much weight on content versus other search engines such as Google. 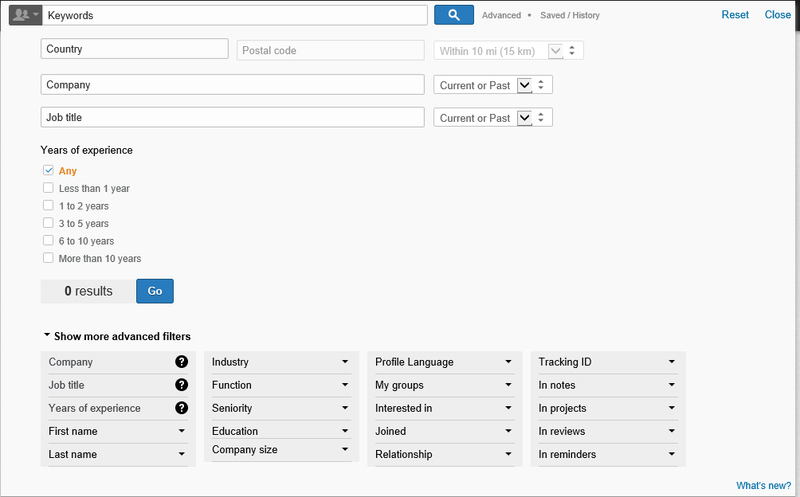 For example, a profile that just includes position titles, industry, and location can often appear within the first page even though the job description and profile summary contain little or no information. It appears LinkedIn will use connections as a slightly better weighted average. However, do not be disillusioned into thinking it is okay to just have a skeleton profile. Content is still king. Content will make that important difference once the initial search has been conducted. The decision of whom to contact will be made based on the profile being read. Therefore, if your profile demonstrates the skills and capabilities, as well as the value you can bring, you are more likely to be contacted during the initial searches. Adding skills will add more weight and therefore improve your ranking in searches. Within LinkedIn skills, you will see a number of terms that can be added. Therefore, do not waste your time adding unnecessary information. Ensure you include your industry-specific skill sets that relate to your target market and any special terms such as IT packages.